You’ve probably heard that probiotics are good for you. And, that they help relieve constipation as well as promote regular bowel movement. Now the question is, what foods contain probiotics. We answer that question in this article. Here we list down some of the most popular and easily available probiotic foods. This way, you can easily get hold of them, and start moving towards a healthier digestive system. 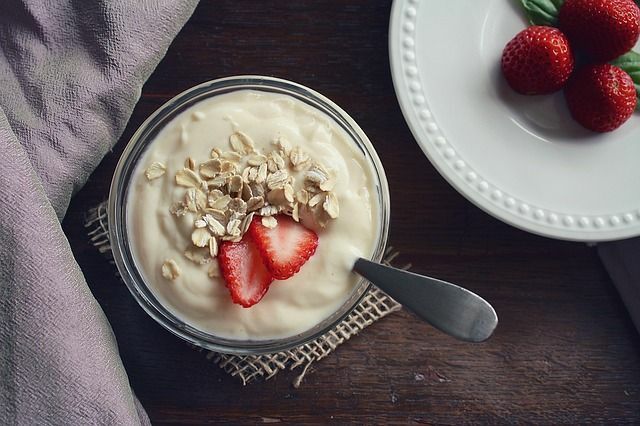 One of the most common foods that contain probiotics is yogurt. Yogurt is well known for containing probiotics, and some brands of yogurt even advertise the high levels of active cultures. 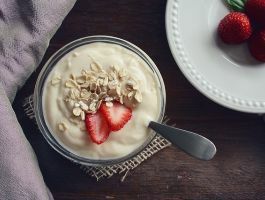 Eating yogurt is one of the best ways to get probiotics in your diet because it contains the most probiotics compared to other foods. Yogurt can help with digestive issues and promote gut health. Yogurt also contains protein, calcium, and many other vitamins. Overall adding yogurt to your diet is an easy and tasty way to get many benefits from a single food. With yogurt however, choosing the right kind can sometimes be confusing. You’ll often see supermarket shelves lined up with lots of varieties. These range from plain yogurt to the Greek variety. Then, there are those that come with flavoring like strawberry, chocolate or others. Furthermore, some claim to be low fat or offer other health benefits. If you’re after taste, then the flavored ones will easily win out. However, what makes them taste so good is the copious amounts of sugar that’s added to them. This, along with the flavoring, which isn’t always natural, end up possibly sabotaging its health benefits. To get the optimum benefits out of yogurt, choose the plain ones. These come without the additives or flavorings. If they’re available choose the low sugar options as well. 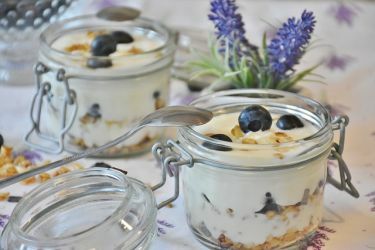 Greek and regular yogurt are different in taste, texture and their nutrition. But both contain a good amount of probiotics. They’re also both good for you. If you really want the best yogurt possible, making it yourself is a good option. It’s actually easier than what most people think. All you need is the starter and a yogurt maker to make your own at home. This is something very close to yogurt. But it’s cheaper, tastier than plain yogurt and, easier to consume. If you live or pass by any Asian grocery, you’ll quickly see packages of these small beige and red containers. Yakult is a dairy product that contains probiotics. It is made by fermenting a mixture of skimmed milk with Shirota, which is a special strain of Lactobacillus casei bacteria. It contains live and active good bacteria that helps improve our digestive system. Yakult started with its original flavor. Today. There’s also Yakult Light, which comes in a light blue container. Yakult Lite contains fewer calories, no fat, no gluten, no cholesterol and no preservatives. They’re much easier to consume compared to yogurt because you can drink them, plus they taste good. So it usually takes just one gulp to drink the entire small container. This makes it a much faster, more convenient way of getting your daily servings of probiotics. Another probiotic dairy product called kefir. This product is a tasty alternative to yogurt. Kefir is a thick goat’s milk based drink. It is made with fermented kefir grains. And, it contains high levels of lactobacilli and bifidus probiotics. Plus, it is also rich in antioxidants. Just like yogurt, kefir comes in different flavors to choose from to satisfy your personal taste. You’ve probably heard or seen some of these products because they are very popular with celebrities. Kombucha is a type of fermented tea that has been consumed for thousands of years. Like other fermented products, kombucha contains probiotics to promote digestive health. Drinkers of kombucha also claim is boosts their energy levels. This comes as an extra benefit. As with many commercialized products, Kombucha now comes in different flavors. And, it is made with fermented green or black tea leaves. You can find the drink in the refrigerated section of your local grocery store. And you can even find recipes online to brew your own. 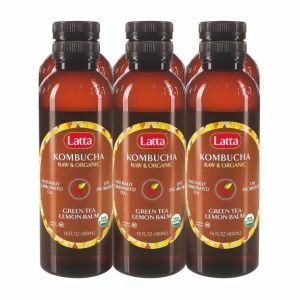 When it comes to store bought Kombucha, just as with other products, do be wary of the sugar content as well as the additives and preservatives included. These are probably among the easiest ways to get your probiotics on a regular basis. They can be easily incorporated into your meals. Many fermented vegetables like kimchi, sauerkraut, and pickles also contain probiotics. Kimchi, which is a popular Korean appetizer that’s served with meals, contains lactic acid. It is basically fermented cabbage. And, the lactic acid that it contains works to aid in digestion. 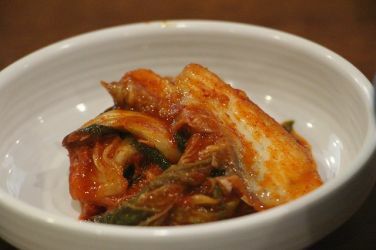 Kimchi also contains iron and vitamin B1 and B2. Sauerkraut meanwhile, which often accompanies certain sandwiches and hotdogs, also has high levels of lactic acid. It is this acid which gives it its sour taste. Sauerkraut can also help to reduce the symptoms of allergies. Pickles also surprisingly have many probiotic bacteria due to their fermentation process. Add any of these fermented vegetables to a meal for a flavorful addition that aids in digestion and gut health. The best part of fermented vegetables is that they have a longer shelf life than fresh vegetables. 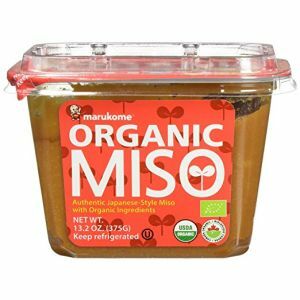 One of the most popular cooking ingredients in Japanese cuisine, miso is another good source of probiotics. If you’ve been to a Japanese restaurant before, or have been served miso soup, then you’ve already had a taste of miso. Miso is a paste like mixture that’s used to make the base of miso soup, which is often served before or with Japanese meals. However, its use isn’t limited to flavoring that soup. It’s often used as a base in many stocks, broths or stews as well, including that of some ramen recipes. Miso is one of many probiotic products made from soybeans that can benefit your gut health. Made from fermenting soybeans into a paste, miso is typically used as a base for soup in Asian culture. Besides contains lactobacillus and bifidus, miso also contains fiber and protein. It has also been shown to help alkalize and neutralize negative environmental effects on the body. Natto is another fermented soybean product that is common in Japanese cuisine. It is another healthy product that not many people know about or consume. Natto contains a strain of powerful probiotic called bacillus subtilis. Aside from the probiotic benefits of natto, it’s also rich in protein and vitamin K2. Tempeh is known for being a popular high-protein vegan option. But in addition to being a good vegan source of protein, it also helps improve your digestive system. Tempeh is made by fermenting soybeans. And, it is sold in a firm patty similar to tofu. It can be cooked in a number of ways and is extremely versatile. Like other fermented foods, tempeh is also very rich in probiotics. Tempeh also contains B12 which is usually only found in animal protein, making it a great substitute for meat. More and more, research is showing that probiotics are beneficial to our gut health. They help by introducing healthy or good bacteria to balance out the bad bacteria. This helps not only reduce issues that are related to stomach distress, but also reduce the chances of constipation as well as diarrhea. The foods above are great ways to add some of these good bacteria into your diet to help improve not only your digestive health but also your immune system.